The ancient village of Gourdon situated in the Alpes Maritimes region of the Provence in France, is a perched village full of old villas and unique stores. 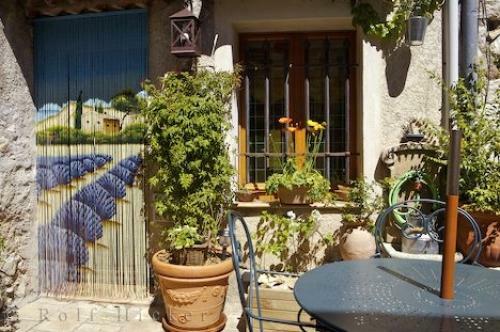 Villa in the village of Gourdon, Alpes Maritimes, Provence, France, Europe. Gourdon in the Alpes Maritime region of the Provence, France.